I like to use night mode in any apps that allow it. The darker color scheme makes it easier to read in low-light environments, and I simply prefer the way it looks. 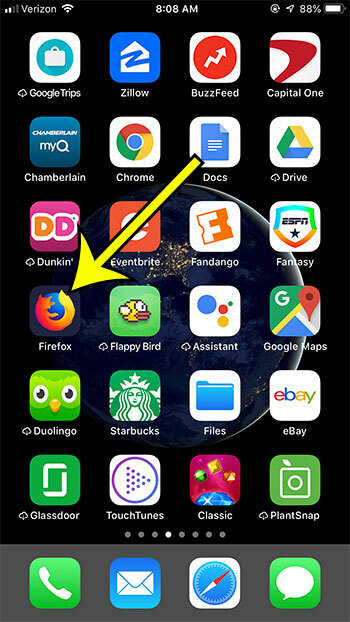 Many apps have that option now, including the Firefox app on your iPhone. 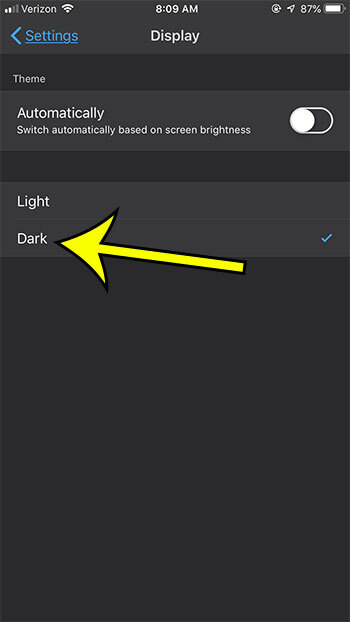 If you would like to check out Firefox’s night mode then you can continue reading the article below to see where you can find that setting. The steps in this article were performed on an iPhone 7 Plus in iOS 12.1.4, using the 15.1 version of the application. 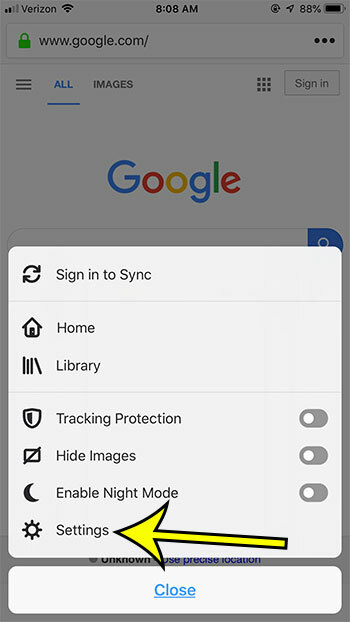 While we are specifically going to be switching to night mode in this guide, there is also an option to have Firefox enable it based on your screen brightness. Step 2: Touch the icon with the three horizontal lines at the bottom-right of the window. 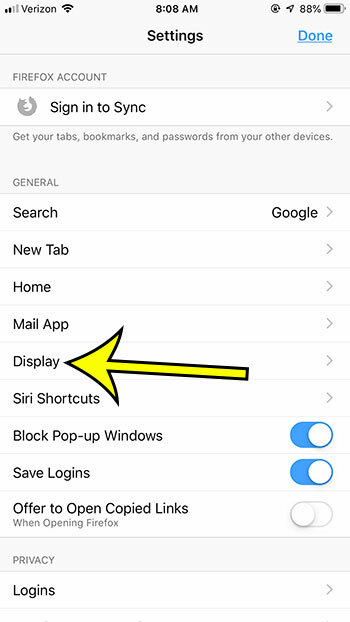 Step 4: Choose the Display option. Step 5: Tap the Dark option on the menu. The screen will immediately switch to night mode so you can see how it looks. 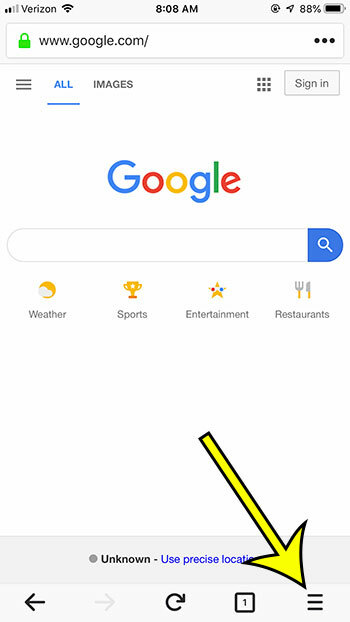 Are some websites on your phone behaving incorrectly? Find out how to clear cookies in Firefox to see if that resolves the issues you are having.